Step out of Rovaniemi to go to Pyhatunturi and see Pyha-Luosto National Park, which is approximately 1h 35 min away. There's still lots to do: find something for the whole family at Santa Claus Village, snap pictures at Lumberjack's Candle Bridge, get curious at Pilke Science Centre, and examine the collection at Christmas House Santa. 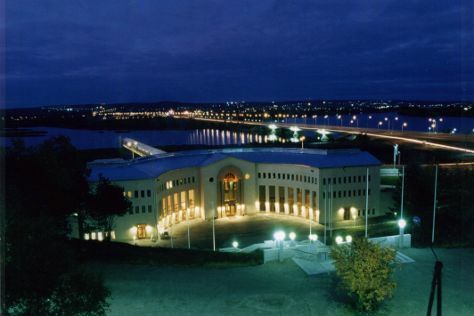 To see more things to do and other tourist information, use the Rovaniemi tour itinerary planner. In October, daily temperatures in Rovaniemi can reach 3°C, while at night they dip to -1°C. Wrap up your sightseeing on the 2nd (Fri) to allow time to travel back home.